The Glastonbury festival will henceforth be changing location every year in an attempt to prevent Coldplay from finding it, it has been announced. The music festival has been running successfully since 1970 but has been plagued in recent times by a reoccurring outbreak of Coldplay, causing stress and discomfort for many attendees. 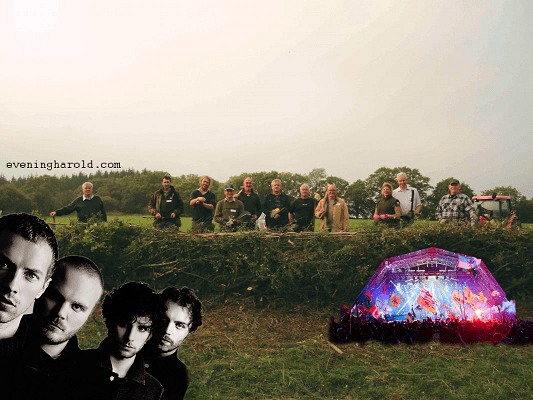 Coldplay first performed at Glastonbury in 1927, and have headlined the main stage every year since then, apart from a gap for the last war, when they played the acoustic tent.